Timing is everything. While at a bar in Los Angeles (The Woods – valet parking in a strip mall? I don’t get you, LA), I overheard a group of girls talking about a Surfer Blood show they were going to see at the Getty. Come to find out, the museum hosts Saturdays off the 405, an outdoor event featuring up-and-coming music acts. FOR FREE. 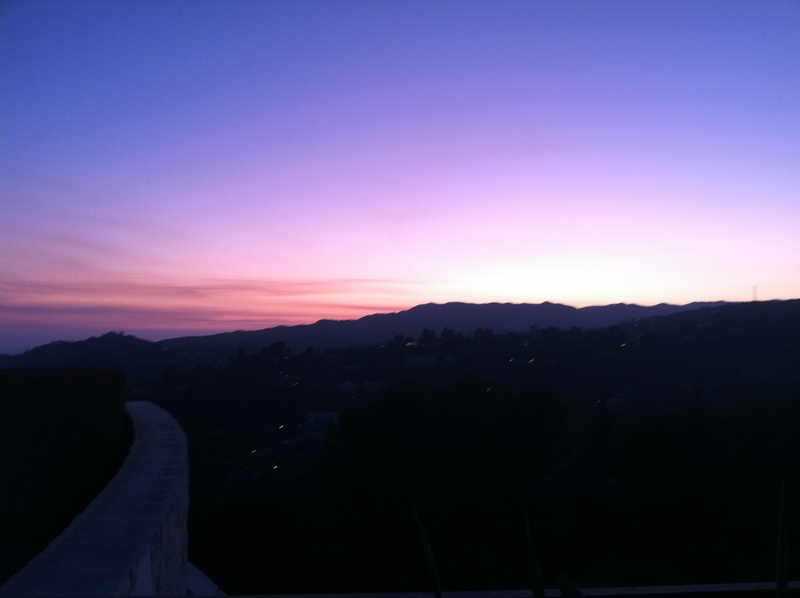 We journeyed up to the Getty and although it took forever to park, parking was free (usually $15 after 5pm) and we made it to the top for the end of sunset. 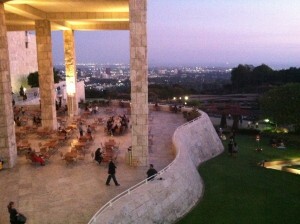 The views from the Getty are breathtaking. The site is a beautiful getaway from wasting away trapped in cars trying to navigate the miserable LA traffic for hours of your life city living. 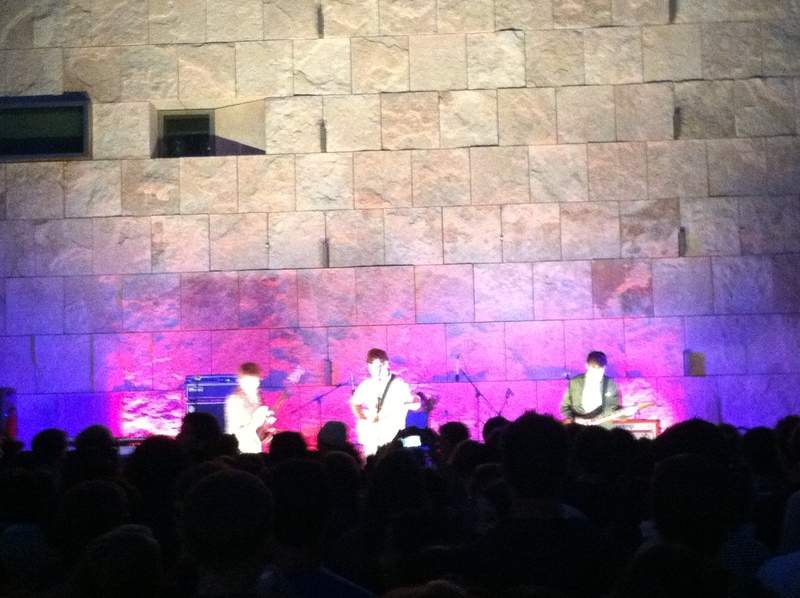 Surfer Blood was set up outside with lights flashing against the stone wall of the museum behind them. Bars and snacks were set up around the grounds of the museum and we were able to roam around freely while listening to the band so the show never got claustrophobic. 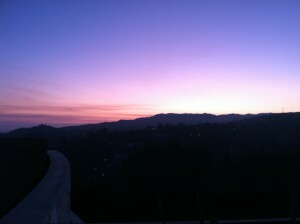 The show was amazing and the view of LA was perfect. Moral of the story: Keep your ears open, people! The locals know best.